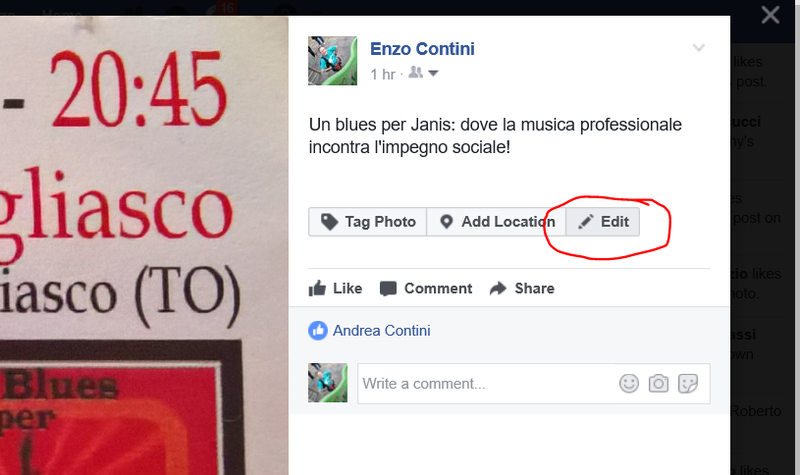 By chance, I noticed that a new post of mine in Facebook had a visibility “Public” that is everybody could see it. 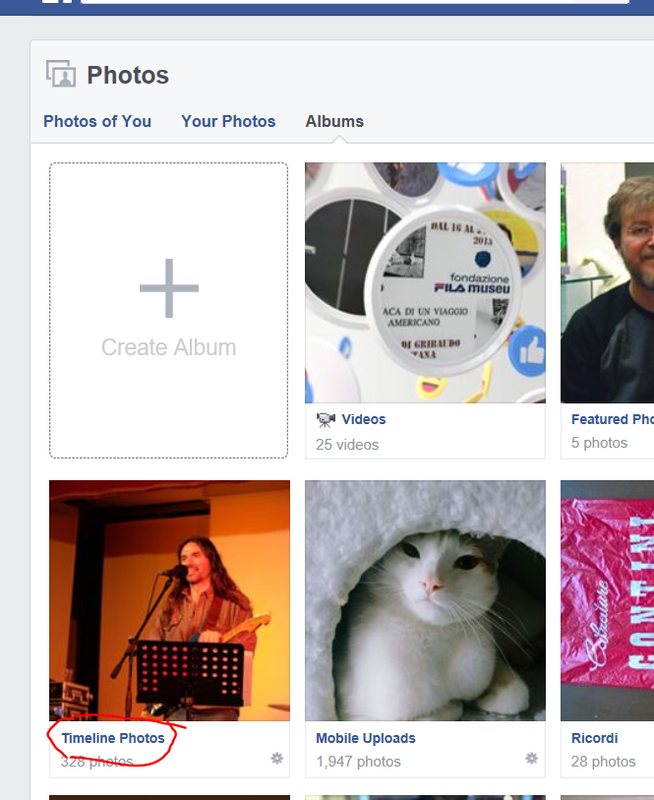 … on the contrary I realized that all my last posts (I did not check since when) were all Public!! 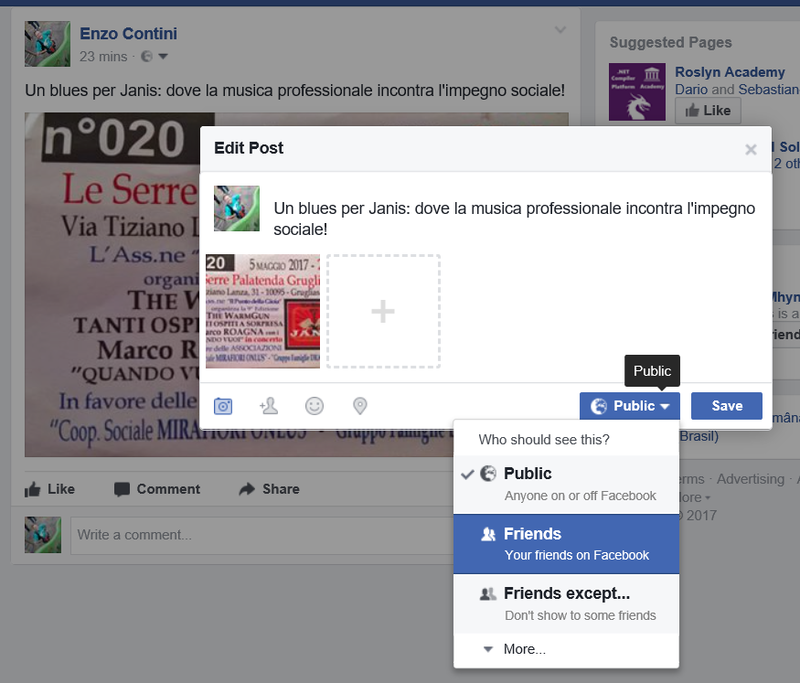 Therefore if also you do not want that all your Facebook post can be seen by everyone, it is convenient that you check your privacy settings in the Facebook site: possibly this feature is available also from the app, but usually from a site you can have more capabilities compared with the app ones, therefore I checked how to modify my default privacy settings from the Facebook site. 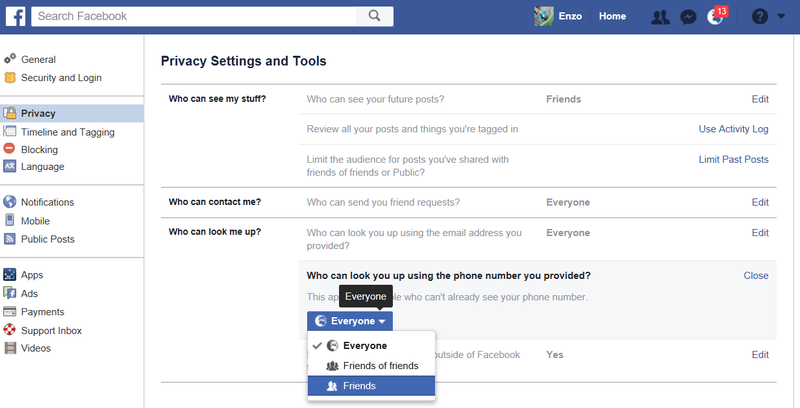 At a first look, it is not so stressed how to navigate into the privacy settings page: I know that it is not a section that you have to see everyday but, in my opinion it should be more easy to be found. 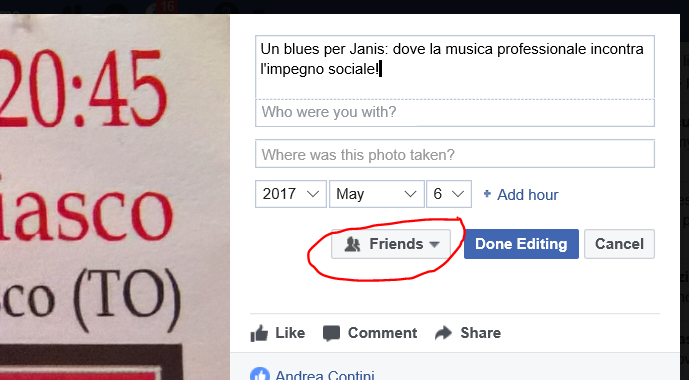 Moreover, searching in Internet, I found several blogs with instructions that were related to old user interface of the Facebook site … and I realized that now the privacy section is much more difficult to be found than in the past! 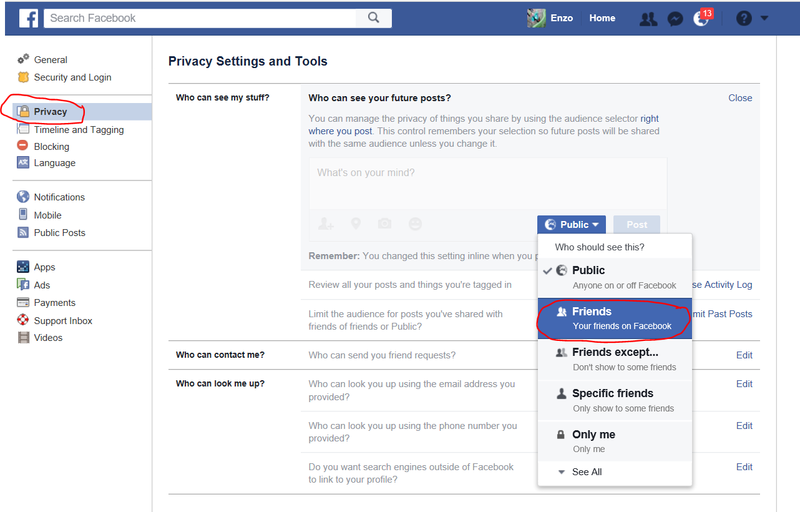 Therefore, in the following you can see some screenshot I took that can help you to check your privacy settings. 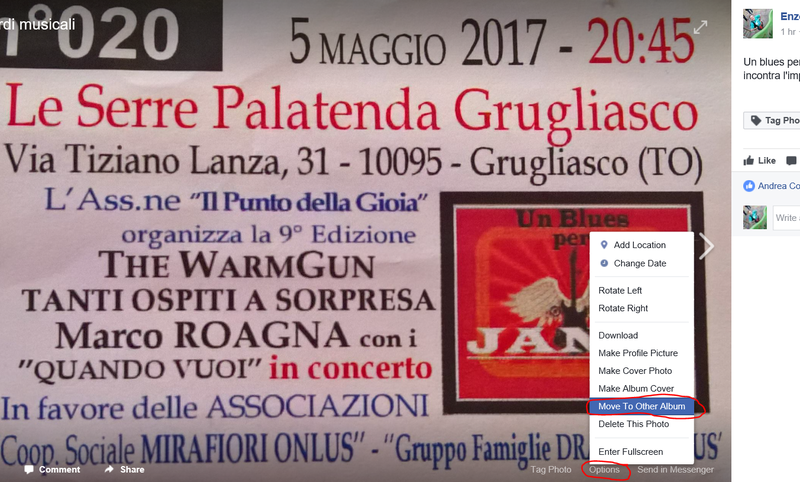 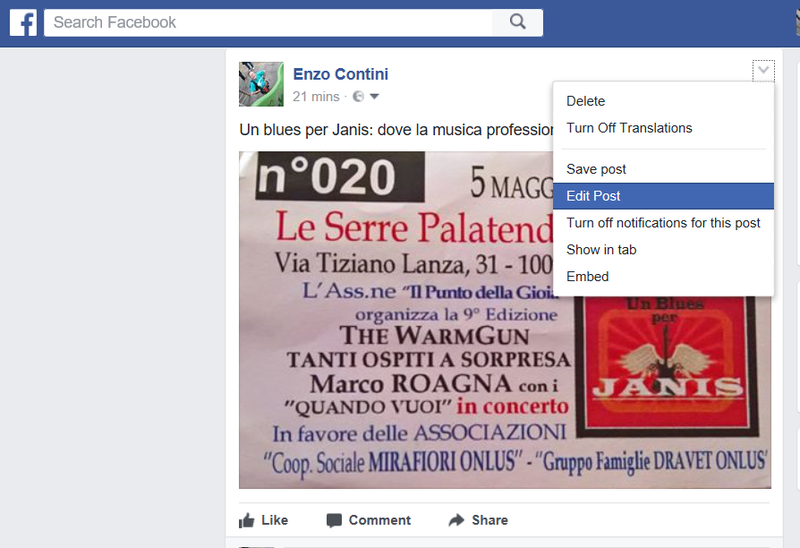 One more trick: if you want to move a picture, available in a past post, in a specific album you have (or that can be created), you can do as follows (two different ways). 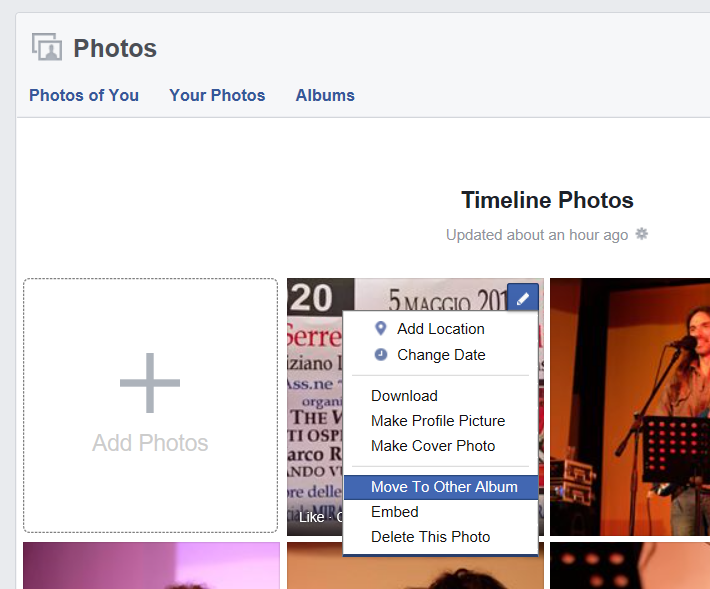 Note that every picture in a generic post is available in the Timeline Photos folder of the Photo section.